Everyday Fictions is a collection of creative responses to the mundane. 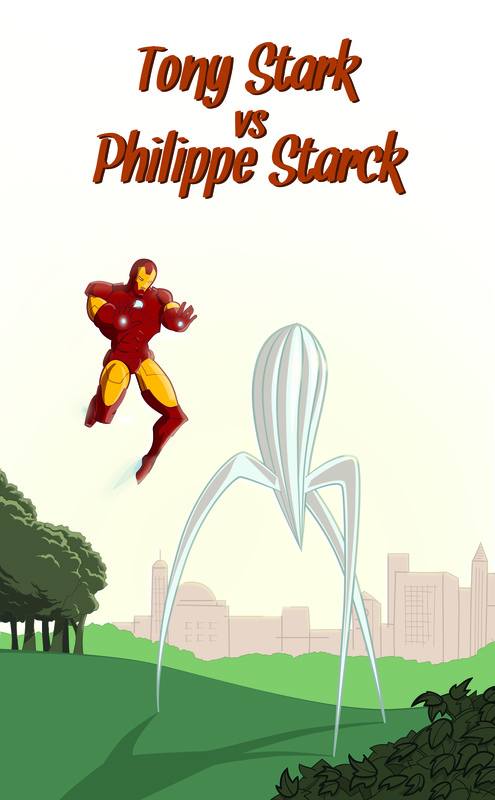 Experiences inspire fictional narratives that render own thoughts or contribute to a constructive critisism. 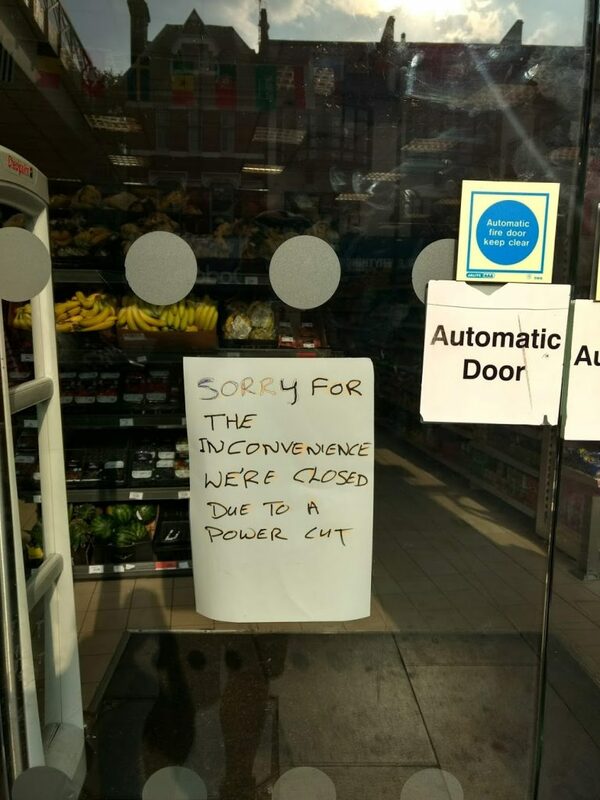 The other day a power cut happened to a supermarket I was into. It was a weird experience, one of the things that you don’t expect to happen in a commercial place of a western world capital. People immediately started looking around, trying to make sense of the incident. There was something reassuring in making eye contact with people, instead of shampoos and dog food. Needless to say, many speculative scenarios crossed my mind, from zombie apocalypse to the consequences of climate change. The lights came back to wake me up and ground me to the reality of the power generator. Wondering if in addition to fire safety, we should start training in power cuts too. Even if it is for starting seeing each other. Photo by yours truly, from a supermarket in Brixton, London. I have always been fascinated by mental imagery, the ability of the mind to visualize images. Being fairly common amongst creative people, I had assumed that everybody can think in images (and other modalities, like sounds etc). Recently I found out this is not true; Aphantasia (from the Greek phantasia = imagination, a + phantasia = the lack of imagination) is the condition in which one lacks the ability to create mental imagery. That made me draw even closer attention to my own process of thinking visually. In this cartoon, I am reflecting on my mental imagery during a real dialogue I had with a friend, which resulted in a pun. The depiction of the imagery in the form pictograms is not a very accurate one. I did not really think in signs, but I wanted to highlight the almost mathematical origin of this joke; it is a creative twist on the idea that two negatives make a positive. As a design student, I found exciting to discover the different design genres. Engineering design vs emotional design was the mother of all battles. If I were to sketch this again, I would draw two old guys reminiscing a masculine past that never actually mattered. The escalator is a product and symbol of modernity, a glimpse into “Wall-E”esque, post-walk visions of society. But once again, futurists were proved wrong and we started walking on them. We walk faster and faster, an action that resembles a deliberate movement but is actually a drift in a shrinking present. The escalator now reflects post-modernity. Chambers: “You constantly shift where you stand, you subdivide your life into separate areas and into differences, you construct your lifestyle in a mobile way”. “Fellow humans, if you want to become a temporal cyborg by extending each other’s physical abilities, please walk on the left. If you just want to enjoy the view stand on the right”. He searched his pockets. No more coins; nothing. 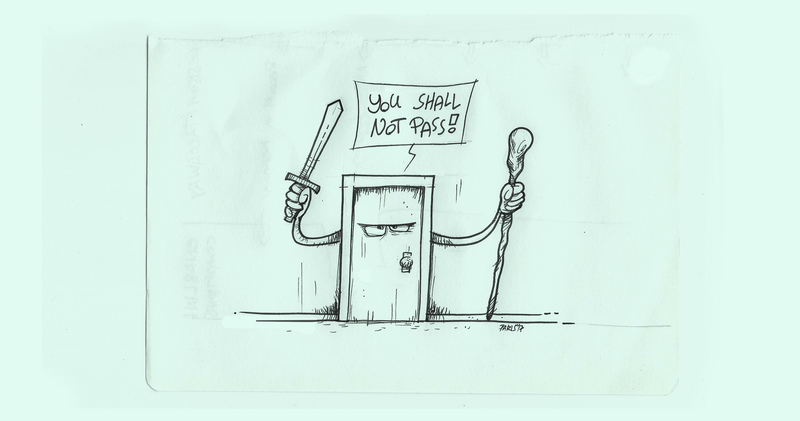 “I’ll pay you tomorrow,” he told the door. Again it remained locked tight”. Technology has been traditionally designed to augment human capabilities. 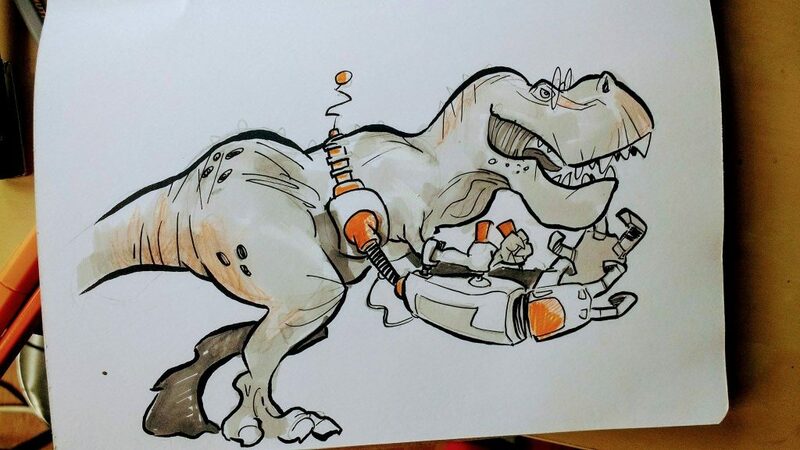 Tech-Rex is a piece of technology for the species that once ruled the earth, an exoskeleton for what is now a skeleton. Tech-Rex satires human centrality and technological rationality. At least T-Rex is no longer sad. In this Telegraph article, Dr Colin Byrne argues for a multi-tiered educational system. Under the harmless title “employers should help shoulder student tuition fees”, the author envisions a higher education adjusted to market demands: “I propose that universities should introduce new programmes that differ in their aims, content, breadth, depth and – critically – duration. Universities should continue to teach many existing courses, but should package these into different programmes, with some lasting for only one or two years. […] These shorter courses would be more affordable than a full degree programme and more relevant to the employer’s business”. For a moment I thought that the purpose of higher education was to create and share knowledge and grow students to critical citizens, and that shorter courses already exist. But then I gave into the temptation of articulating the article’s vision.